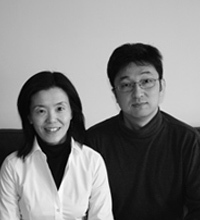 Yoko is specialized both in residential design and in urban design/research. Prior to the founding of PED, she designed large housing complexes, commercial buildings, and sports/community facilities as a project architect at Konoike Construction Co., Ltd., Japan, for more than ten years. Her major projects there included the Senboku-Hinoh-Dai housing development (a competition winning project) in Osaka and the Netherlands Centre in Kobe. Yoko is also a teacher and a scholar. She teaches design studies and Japanese architecture, and currently is a lecturer at Yale University. She taught at the New York Institute of Technology, St. Agnes’ College, Doshisha Women’s College of Liberal Arts, and Setsunan University. Her main research subject is the use of information communication technology as part of a sustainable city. Many of her research works have been published and presented at conferences and universities, including MIT. She is an International Associate Member of the American Institute of Architects. She also belongs to the Association of Collegiate Schools of Architecture, the Architectural Institute of Japan, the City Planning Institute of Japan, and the Japan Telework Society. Takaya explores the ways in which Japanese gardens contribute to and become a part of the modern world. He designs residential and small-scale landscape and also works on urban design projects. One of his recent projects was a set of stone gardens for the “Tea Culture of Japan” exhibition held at the Yale Art Gallery in 2009. He started off studying the philosophy and history of Japanese gardens very early in his career at Kyoto University, Japan. He now teaches theories of Eastern Asian landscape at Yale University as a lecturer. Before joining PED, he was a landscape architect for Towers|Golde and worked on university and commercial projects for nine years. 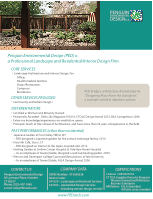 His major works there include the Yale University Pierson & Davenport College Courtyard Renovations (the CT chapter of the American Society of Landscape Architects Honor Award), the Hotchkiss School New Residence Dormitories (designed according to the standards of the Leadership in Energy and Environmental Design), and the New Songdo City Development Master Plan / Block 125 in Korea. Prior to that, he designed landscape for commercial buildings and worked on many community-scale projects at Konoike Construction Co., ltd. in Japan. There, he was a part of the winning design team for the Merit Award in the Okhotsk Townscape Design Competition, and as well as the team that won the JILA Award given for the NTT-CRED Motomachi Area Redevelopments. He is a Member of the American Society of Landscape Architects and a Member of the Japanese Institute of Landscape Architecture.